Hello, my name is Andrew Joyce and I’m here today to try to sell a few books. 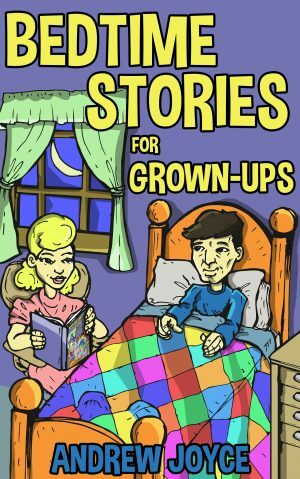 I have a new book out entitled Bedtime Stories for Grown-Ups. It is a collection of short stories I’ve written over the years. 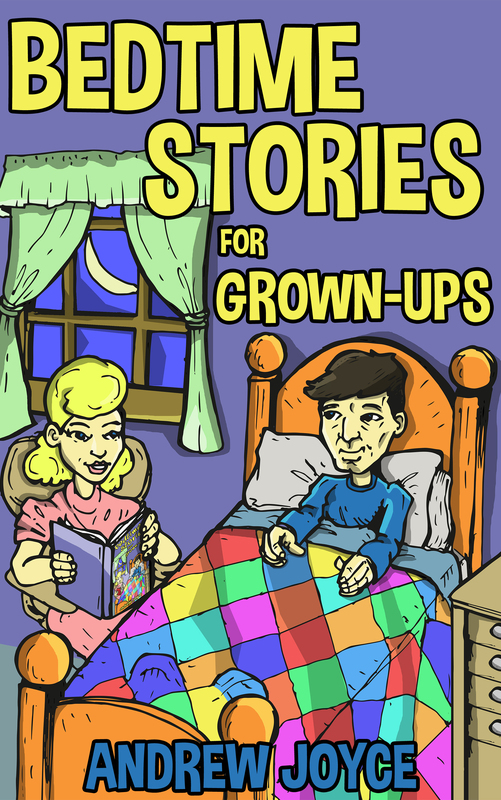 Inside Bedtime Stories you’ll find tales of fiction and nonfiction. There are all sorts of genres within its pages, from westerns to detective stories to love stories and just about anything else that you can imagine. One of my stories—included in the book—was granted the honor of being included in a print anthology entitled The Best of 2011. Some of the stories are dark and some are lighthearted, but I hope you’ll find them all captivating. There’s a whole lotta material in the volume—700 pages; enough to make sure you get your money’s worth … and enough to keep you reading for the foreseeable future. I’m an FBI agent assigned to the Miami Field Office. I was awakened at five o’clock this morning by an urgent phone call to report in immediately. There was a terrorist threat. Hell, this was the granddaddy of all threats. At 4:00 a.m., a local television station received a call stating that there was a nuclear bomb planted within the city, and at exactly 4:00 p.m., it would be detonated unless certain demands were met. The caller said there was a package sitting in the parking lot of the North Miami office of the FBI that would authenticate the threat. It turned out to be a small nuclear bomb, which is also known as a suitcase bomb. An attached note informed us it was exactly like the one planted in downtown Miami. It also stated that if there was any effort to evacuate the populace, the bomb would definitely go off the instant word hit the media. We were ordered to tell no one of the threat, but there were many surreptitious phone calls made that morning, telling family members to drive to West Palm Beach for the day. I made my own call, telling Jill that I had planned a romantic day for the two of us and asked if she would meet me in Boca Raton. I gave her the name of the hotel where I had made a reservation before calling her, and said I’d be there in the early afternoon. She readily agreed, and now I know that she is safe.